The new DigiTech Smart Cable (DSC) is a proprietary cable developed by DigiTech in conjunction with Apple that allows direct communication between DigiTech products and iOS devices such as an iPod touch, iPhone, or iPad. 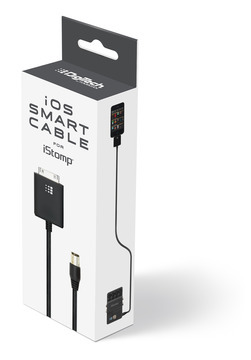 The iStomp along with the Stomp Shop App are the first DigiTech products to incorporate the new DSC cable and DSC Port. Each iStomp comes with two e-pedals: Total Recall digital delay and Redline overdrive. 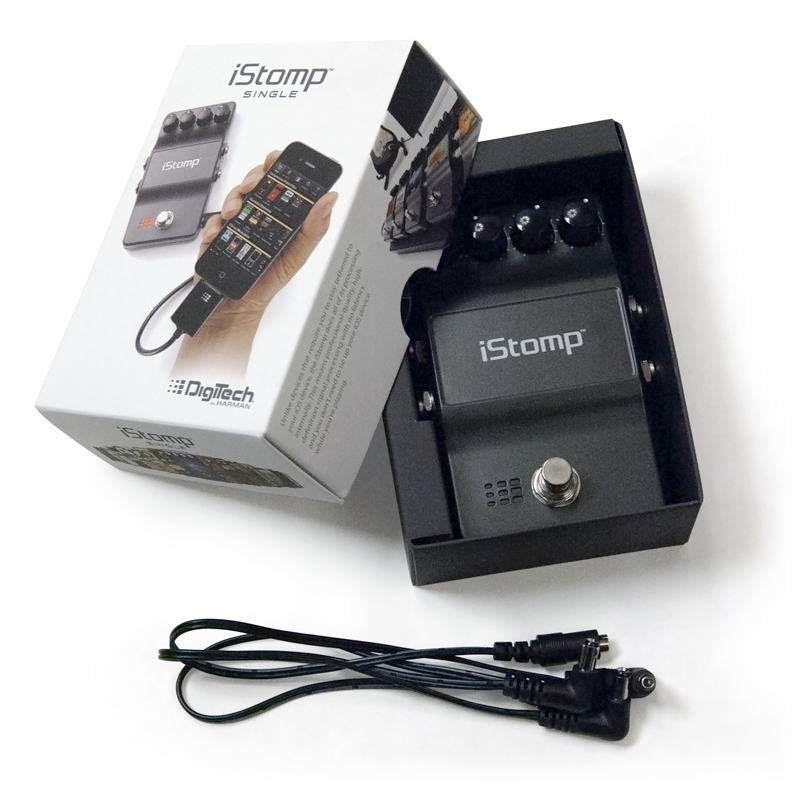 The first time you connect to your iStomp you can choose one more e-pedal from the different DigiTech pedals for only $0.99. After that you can download new e-pedals for as little as $0.99. The iStomp is the only stompbox that allows players to demo different e-pedals using their own rig before they buy it. Through the app you can listen to a demo of all the e-pedals but unlike all other stompboxes you load any e-pedal for upto 5 minutes to see how the it sounds through your amps using your guitar before paying anything. The Stomp Shop saves a record of all the e-pedals you purchase becoming your e-pedal virtual road case. You can now carry your entire e-pedal collection with you on your phone. From the Stomp Shop app you can reload any e-pedal to your iStomp at any time. You can choose one the color of the 9 dot LED light on their iStomp when you load an e-pedal from the Stomp Shop App e-pedal store and virtual road case. It is a great way to identify each e-pedal when it is loaded on your iStomp. DigiTech and iStomp are trademarks of Harman International Industries, Incorporated, registered in the United States and/or other countries. iPhone, iPod touch, iPod, iPad and App Store are trademarks of Apple Inc., registered in the U.S. and other countries. “Made for iPhone”, “Made for iPod”, and “Made for iPad” means that an electronic accessory has been designed to connect specifically to iPhone, iPod, and iPad, respectively, and has been certified by the developer to meet Apple performance standards. Apple is not responsible for the operation of this device or its compliance with safety and regulatory standards. iPod, iPhone, or iPad are not included. Features, specifications, and appearance are subject to change without notice.